Aureus Academy is delighted to announce the inaugural concert of the Aureus Great Artist Series featuring internationally renowned pianist Melvyn Tan. 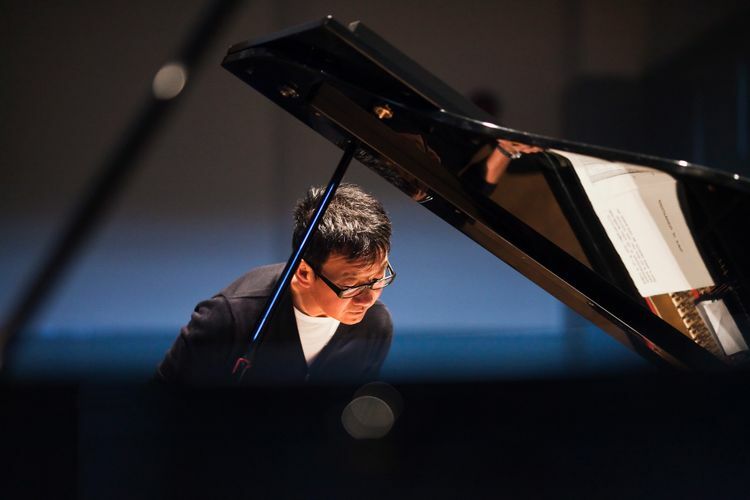 Hailed by The Straits Times as "Intensely Musical" Melvyn Tan will be performing a kaleidoscopic programme of Liszt, Ravel, Weber and Scarlatti. Tan actively performs with such prestigious ensembles as the London Philharmonic Orchestra, the Academy of St Martin’s in the Fields, the Hong Kong Philharmonic Orchestra, the Royal Liverpool Philharmonic Orchestra, Stuttgart Radio Symphony Orchestra, Salzburg’s Camerata and Mozarteum orchestras, Bruckner Orchester Linz, Melbourne Symphony and on tour with the Australian Chamber Orchestra. More recently, Tan has made regular appearances with the Singapore Symphony Orchestra and with the London Chamber Orchestra, recording Mozart’s Piano Concerto No. 12 and Beethoven’s Piano Concerto No. 2 on the orchestra’s LCO Live label.